It is commonly remarked how our daily existence in urban contexts ever more depends on invisible infrastructures made of electromagnetic radiation. The long tradition of scientific and philosophical realism has led us to the habitual belief that qualities such as invisibility and intangibility belong to a shared objective world. We often forget that such descriptions are actually rooted in the sensory (in)capacities of our very own bodies. We can as well imagine that we are all visually impaired, living in a world increasingly permeated with various frequencies. 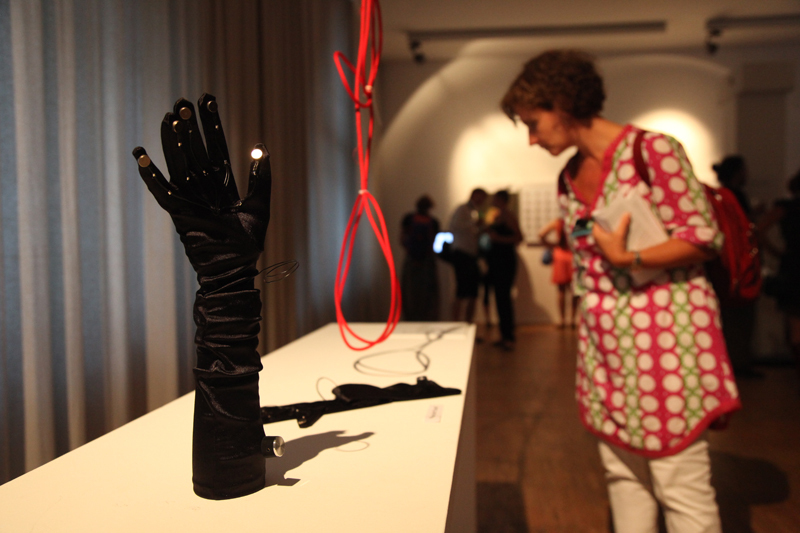 Tunaeble Touch provides an alternative configuration to what the majority of us experience as the material world. 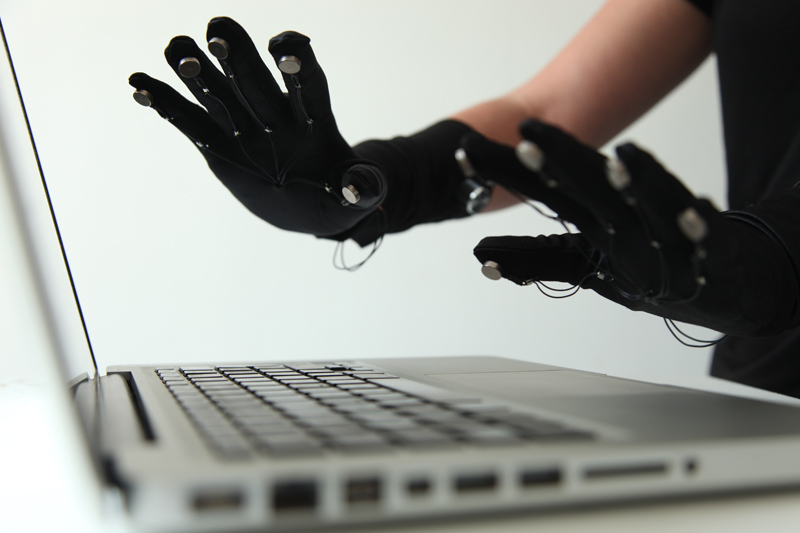 To that end, it employs the sense of touch, a sense that we use for verification especially when we doubt our vision. The sense of touch is often taken as affirmatory and undeceiving, as it grounds and comforts us with an assurance concerning a material reality. 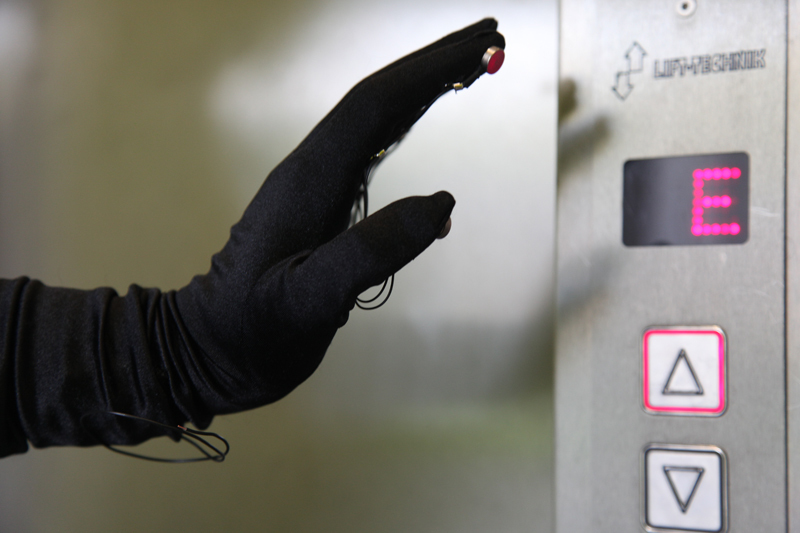 A pair of gloves operates as a tuneable tactile radio receiver. They detect the waves that radiate from electronic objects and translate them into a sense of vibration at the fingertips. The wearer becomes capable of sensing the invisible outlines of electronic objects and confidingly navigates in environments vibrant with invisible obstacles.